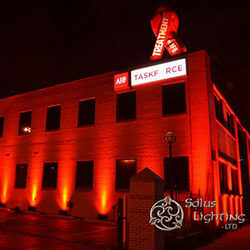 8/29/14 – On August 20, 2014, Solus Lighting LTD was honored with an esteemed ISES Esprit Award in the category of Best Event for a Non-Profit Organization for the Building Dedication on World AIDS Day. In its nineteenth consecutive year, the ISES Esprit Awards program has a rich history of honoring excellence in the special events industry. Established in 1995, the awards recognize influential contributions that impact the advancement of creative events and reward those individuals whose vision and creativity make their events exceptional. This is the fourth accolade Solus Lighting LTD has been honored with this year, having won awards earlier in 2014 for innovative event lighting for Best Wedding, Best Team Effort, and Best Public Event. 7/2/14 – Solus Lighting LTD is happy to announce their nomination for the esteemed ISES Esprit Award from the International Special Events Society in the category of Best Event for a Non-Profit Organization. The awards ceremony will be held on Wednesday, August 20 at the Westin Hotel in Seattle, Washington. ISES honors industry excellence through its prestigious awards program, the ISES Esprit Awards, which fuel a spirit of competition within designated categories. 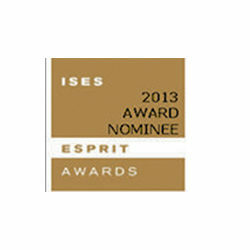 ISES Esprit Awards gain world wide visibility and recognition for ISES members. It honors special event professionals who exhibit a “spirit of excellence” in their work. 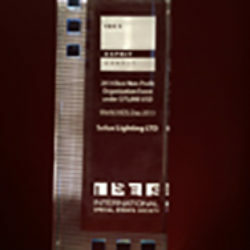 4/14/14 – Solus Lighting LTD was honored with three ISES Ohio WOW Awards in the categories of Best Wedding, Best Public Event, and Best Team Effort. The awards ceremony was held Friday, April 11th at the 21c Museum and Hotel in downtown Cincinnati. ISES Ohio Wow is an annual awards program created to showcase, acknowledge, and honor the special events industry’s finest examples of creativity, planning, strategic management, resourcefulness, and successful solutions throughout the state of Ohio. To maintain fairness in the judging, the submissions are entirely anonymous and are judged by event professionals from another region of the United States. This year, judges for the awards were located in Minneapolis, St. Paul and St. Louis. 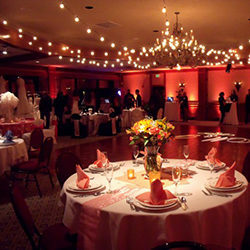 6/27/13 – Solus Lighting LTD is thrilled to announce their nomination for the esteemed ISES Esprit Award from the International Special Events Society in the category of Best Wedding Budget Under $75,000. 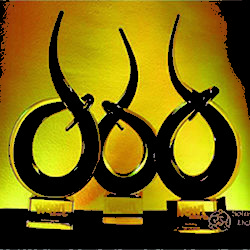 The awards ceremony will be held at the ISES Live convention in Nassau on Saturday August 24, 2013. ISES honors industry excellence through its prestigious awards program, the ISES Esprit Awards, which fuel a spirit of competition within designated categories. ISES Esprit Awards gain global visibility and recognition for ISES members. 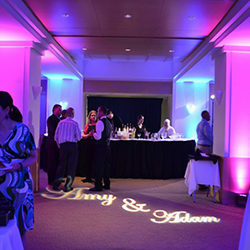 4/25/13 – Solus Lighting LTD was honored with an ISES Ohio WOW Award in the category of 2013 Best Wedding. The awards ceremony was held Friday, April 19th at the Rock & Roll Hall of Fame. ISES Ohio Wow is an annual awards program created to showcase, acknowledge, and honor the special events industry’s finest examples of creativity, planning, strategic management, resourcefulness, and successful solutions throughout the state of Ohio. To maintain fairness in the judging, the submissions are entirely anonymous and are judged by event professionals from another region of the United States. 1/24/13 – Solus Lighting LTD is pleased to announce they have been selected as a 2013 ¬¬winner in The Knot Best of Weddings, a special section featured on TheKnot.com/BOW. Best of Weddings is a yearly contest held by The Knot, during which our Brides choose their favorite Knot Vendors. The Knot Best of Weddings 2013 provides a “by brides, for brides” guide to the top wedding professionals across the country, and is a great source when it comes to selecting the best-of-the-best wedding resources. Solus Lighting LTD is proud to announce their national certification as a Women’s Business Enterprise by the Ohio River Valley Women’s Business Council (ORVWBC). 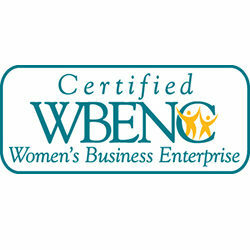 The OVEWBC is a regional certifying partner of the Women’s Business Enterprise National Council (WBENC). Solus Lighting LTD is also nationally certified as a Woman Owned Small Business in accordance with the guidelines of the US Small Business Administration (SBA). WBENC’s national standard of certification implemented by the ORV-WBC is a meticulous process including an in-depth review of the business and site inspection. The certification process is designed to confirm the business is at least 51% owned, operated and controlled by a woman or women.